Wondering which peanut butter to spread on your gluten-free bread? Peanut butter—which in its purest state is just peanuts, with maybe a touch of salt—generally doesn't include gluten-based ingredients, but that doesn't mean it's always safe on the gluten-free diet. To put it simply, some manufacturers are simply better than others when it comes to keeping tiny amounts of gluten out of their peanut butters (and their other products). Adams. This peanut butter, which is produced by the J.M. Smuckers Co., bills itself as "natural in a nutshell," and most varieties are made with just peanuts and salt (the exception is the no-stir peanut butter, which contains vegetable monoglycerides from palm oil). According to the company, the products contain no gluten ingredients, but don't meet the company's standards for making a "gluten-free" claim—in other words, they may not be tested to ensure they meet the standard of less than 20 parts per million (ppm) of gluten, or they may be made in shared facilities that don't have programs to control the spread of trace gluten. Crazy Richard's. The only ingredients in Crazy Richard's peanut butters are peanuts—the products contain no added salt, oils or sugars. According to the company, the peanut butters are gluten-free to less than 20 parts per million of gluten. Goober. Goober, like Adams, is another Smuckers brand. Instead of being pure peanut butter, Goober cuts down on the work involved in producing a peanut-butter-and-jelly sandwich by including stripes of grape or strawberry jelly in the jar with the peanut butter. A Smuckers customer service representative tells me Goober products don't contain gluten ingredients, but they don't meet the standards for gluten-free labeling. Jif. This is yet another Smuckers brand. Some Jif peanut butter types are considered gluten-free under U.S. gluten-free standards of less than 20 parts per million. The company states it will label Jif products "gluten-free" if they meet those standards. Therefore, if you're interested in purchasing a Jif peanut butter, look for the term "gluten-free" on the label (only some are marked that way). Note that Smuckers may use shared equipment to manufacture its gluten-free-labeled items. Justin's. 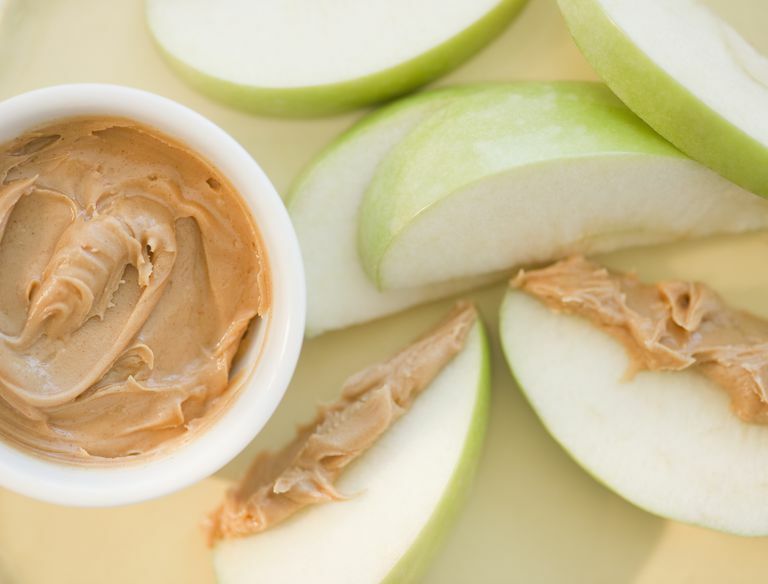 Justin's makes a variety of different nut butters, including classic peanut butter and honey peanut butter. The company is certified gluten-free by the Gluten-Free Certification Organization, which requires testing to below 10 parts per million (lower is better). You also can find peanut butter and banana chip snack packs, but steer clear of the snack packs with pretzels, which are not gluten-free. Krema. Offered by the same company as Crazy Richard's peanut butter (the two brands are identical but are distributed in different parts of the U.S.), these also come in creamy and crunchy varieties. Like Crazy Richard's, Krema considers its peanut butters to be gluten-free to less than 20 ppm. PB Crave. A gourmet peanut butter brand, PB Crave offers four flavors: Choco Choco, Coco Bananas, Razzle Dazzle, and Cookie Nookie. All four flavors—including Cookie Nookie—are considered gluten-free to less than 20 ppm, according to the company. All four flavors contain soy, and all except for Coco Bananas contain milk. Peanut Butter & Co. This a small, independent maker of peanut butter started as a sandwich shop in New York City's Greenwich Village and expanded to offer various peanut butter, jelly, nuts, and baking mixes online and in some stores. The company's peanut butter products are certified gluten-free by the Gluten-Free Certification Organization, which requires products to contain less than 10 parts per million of gluten. They also are casein-free. All but one of the products are vegan, and all are vegetarian. The vinegar in one spicy peanut butter flavor, The Heat Is On, is derived from corn, the company says. Peter Pan. This peanut butter comes in creamy, crunchy and reduced fat varieties. Manufacturer ConAgra Foods states that Peter Pan peanut butters "are made without adding any potential gluten-containing ingredients such as wheat, rye, barley, and oats." However, the company does not verify that they meet legal "gluten-free" standards. Planters. A Kraft Foods brand, Planters offers three different types of peanut butter: creamy, crunchy and natural creamy. Kraft does not verify many foods "gluten-free," but will clearly list any wheat, barley, rye or oats ingredients on the label, and also will disclose any potential cross-contamination issues with gluten grains in a "may contain" statement on the product label. Reese's. This chocolate-peanut butter spread is made by The Hershey Company, which considers it to be gluten-free to less than 20 ppm. Avoid the "Snackables" packages, which include wheat-containing crackers. Skippy. Skippy, a Hormel Foods LLC brand, makes peanut butter in a wide variety of flavors and styles, including creamy, super chunky, low-fat and dark chocolate. According to Hormel, all Skippy products are considered gluten-free (to less than 20 ppm) except for Natural Dark Chocolate Spread, which does not include gluten ingredients but is still finishing testing for trace gluten. Smuckers. In addition to making Adams, Jif, and Goober peanut butters, Smuckers also makes products under its own name. The company states it will label products "gluten-free" if those products test to below 20 parts per million of gluten, if the company can verify the ingredients don't contain gluten and if there's a "comprehensive gluten management program" in place at the facility manufacturing the peanut butter. Therefore, if you're interested in purchasing a Smuckers brand peanut butter, look for "gluten-free" on the label, and avoid those jars that don't have that designation. Smart Balance. Smart Balance's line of peanut butters includes creamy and chunky varieties. According to the company, all Smart Balance products are considered gluten-free to less than 20 ppm. Squirrel Brand. This line is billed as "artisan-style gourmet peanut butter," and is meant to be served warm, not cold. You can purchase Squirrel Brand in a mere jar or in a gift package that includes a buffalo horn spreader and a velour bag with a golden squirrel embossed on it. According to the company, Squirrel Brand peanut butter is gluten-free to less than 20 ppm. Teddie. You can purchase Teddie peanut butter in old-fashioned, organic, homogenized and flaxseed varieties. Options also include creamy, chunky, super-chunky, and salt-free varieties. According to the company, all are considered gluten-free to less than 20 ppm. Wild Friends. This small, gourmet brand offers four different peanut butters: cinnamon raisin, chocolate coconut, honey pretzel, and sesame cranberry. Although there are no gluten ingredients in the cinnamon raisin, chocolate coconut, and sesame cranberry flavors, all are made on shared equipment with the honey pretzel peanut butter flavor, which does contain wheat. It's easy to enjoy peanut butter on the gluten-free diet. Recommended brands include the gluten-free-certified Justin's and Peanut Butter & Co. If you're not particularly sensitive to trace gluten, you should be fine with more traditional brands such as gluten-free-labeled Smuckers or Jif peanut butter. At a minimum, look for a peanut butter that carries a "gluten-free" label. That means it meets U.S. "gluten-free" standards of less than 20 parts per million. To reduce your exposure to gluten even further (recommended for those who are particularly sensitive to trace gluten), you should consider purchasing one of the smaller, specialty peanut butters that are certified gluten-free. In most cases, that means they contain less than 10 parts per million of gluten (less is better), and their manufacturers take additional precautions to keep trace gluten out. However, you'll generally pay more for these products.